“We applaud the FDA’s approval of Defitelio and acknowledge Jazz Pharmaceuticals’ commitment to bringing this meaningful new treatment to the small number of patients who develop VOD with renal or pulmonary dysfunction following stem-cell transplantation,” said Susan K. Stewart, Executive Director at BMT InfoNet (Blood & Marrow Transplant Information Network). Under the FDA’s Rare Pediatric Disease Priority Review Voucher program, a sponsor who receives an approval of a new drug application (NDA) or biologics license application (BLA) for a rare pediatric disease may be eligible for a voucher that can be redeemed to obtain priority review for any subsequent marketing application. 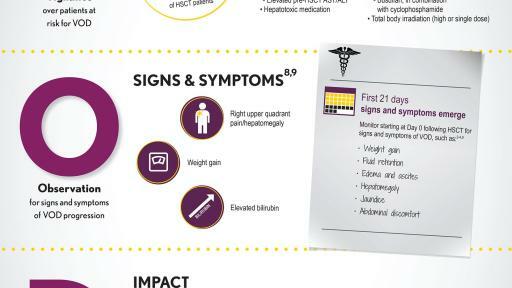 The FDA defines a “rare pediatric disease” as a disease that affects fewer than 200,000 individuals in the U.S., primarily aged from birth to 18 years. 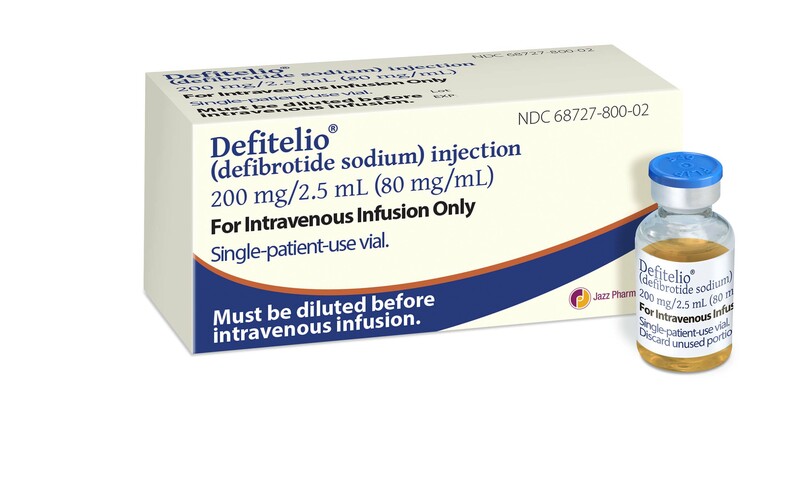 Defitelio has been granted orphan drug designation for the treatment of hepatic VOD. ▼This medicinal product is subject to additional monitoring. This will allow quick identification of new safety information. Healthcare professionals are asked to report any suspected adverse reactions via the national reporting system found under section 4.8 of the SmPC. 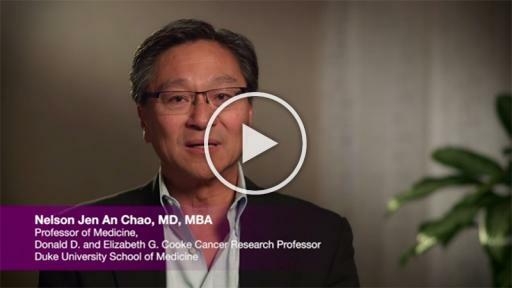 Jazz Pharmaceuticals plc (Nasdaq: JAZZ) is an international biopharmaceutical company focused on improving patients’ lives by identifying, developing and commercializing meaningful products that address unmet medical needs. The company has a diverse portfolio of products and product candidates with a focus in the areas of sleep and hematology/oncology. In these areas, Jazz Pharmaceuticals markets Xyrem® (sodium oxybate) oral solution, Erwinaze® (asparaginase Erwinia chrysanthemi) and Defitelio® (defibrotide sodium) in the U.S. and markets Erwinase® and Defitelio® (defibrotide) in countries outside the U.S. For more information, please visit www.jazzpharmaceuticals.com. This press release contains forward-looking statements, including, but not limited to, statements related to the potential benefits and commercial availability of Defitelio in the U.S. and other statements that are not historical facts. These forward-looking statements are based on the company’s current plans, objectives, estimates, expectations and intentions, and inherently involve significant risks and uncertainties. Actual results and the timing of events could differ materially from those anticipated in such forward-looking statements as a result of these risks and uncertainties, which include, without limitation, risks and uncertainties associated with the company’s ability to effectively commercialize Defitelio in the U.S.; delays or problems in the supply or manufacture of Defitelio; obtaining and maintaining appropriate pricing and reimbursement; complying with the requirements of regulatory agencies; the challenges of achieving and maintaining commercial success of Defitelio; and other risks and uncertainties affecting the company, including those described from time to time under the caption “Risk Factors” and elsewhere in Jazz Pharmaceuticals plc’s Securities and Exchange Commission filings and reports (Commission File No. 001-33500), including the company’s Annual Report on Form 10-K for the year ended December 31, 2015 and future filings and reports by the company. Other risks and uncertainties of which the company is not currently aware may also affect the company’s forward-looking statements and may cause actual results and timing of events to differ materially from those anticipated. The forward-looking statements herein are made only as of the date hereof or as of the dates indicated in the forward-looking statements, even if they are subsequently made available by the company on its website or otherwise. The company undertakes no obligation to update or supplement any forward-looking statements to reflect actual results, new information, future events, changes in its expectations or other circumstances that exist after the date as of which the forward-looking statements were made. 1 Defitelio (defibrotide sodium) [package insert]. Palo Alto, CA: Jazz Pharmaceuticals; 2016. 4 Tsirigotis PD, Resnick IB, Avni B, et al. 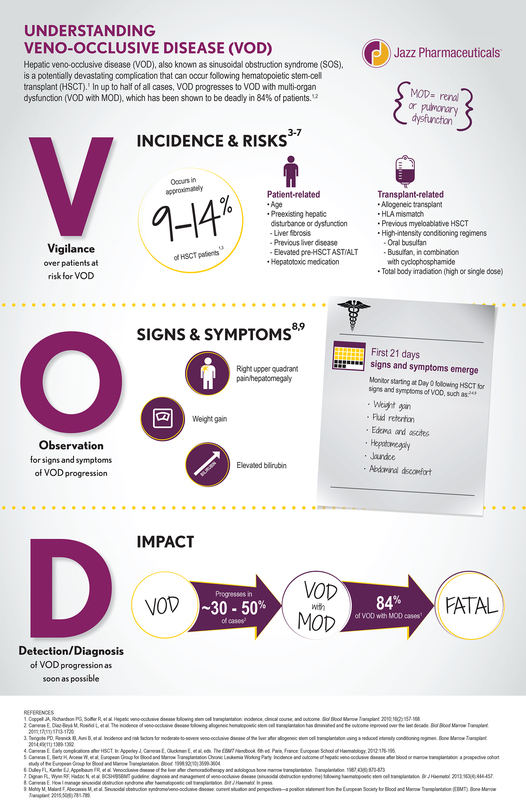 Incidence and risk factors for moderate-to-severe veno-occlusive disease of the liver after allogeneic stem cell transplantation using a reduced intensity conditioning regimen. Bone Marrow Transplant. 2014;49(11):1389-1392. 7 Mohty M, Malard F, Abecassis M, et al. Sinusoidal obstruction syndrome/veno‐occlusive disease: current situation and perspectives—a position statement from the European Society for Blood and Marrow Transplantation (EBMT). Bone Marrow Transplant. 2015;50(6):781-789.